I want to let you know about the most unreal part of the journey so far. 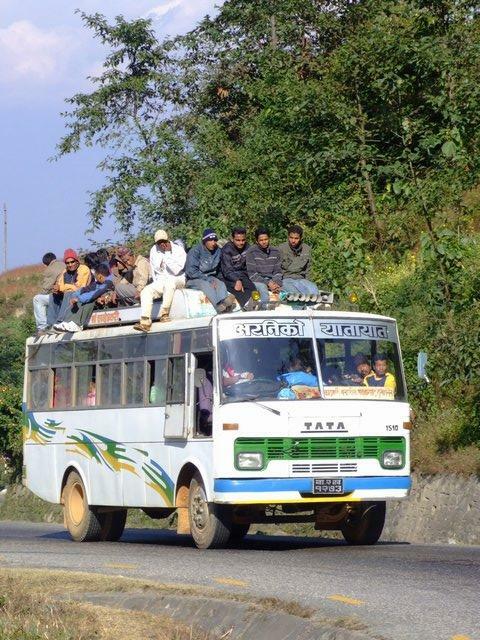 The stretch between Nyalam and just after the Nepali border was crazy. In the morning I cycled past frozen waterfalls and slipped over an icy road… the same day in the afternoon I passed palm trees and butterflies! How strange is that! 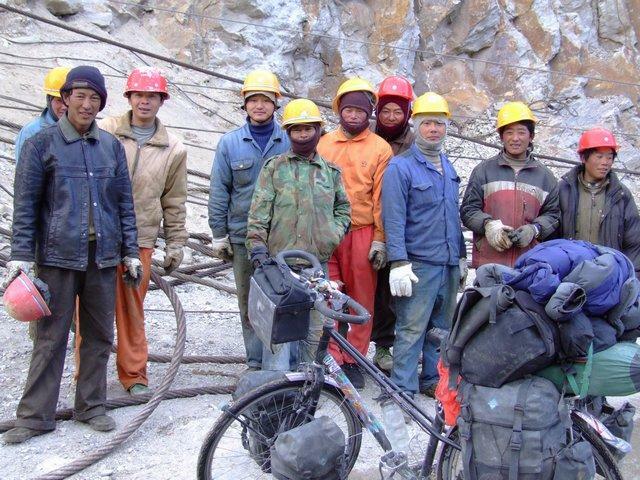 Before the border Chinese were working on the road again, this time it annoyed me a little ’cause the road is already good and they build the new one on the other side of the river in some places, which kinda destroys the beautiful Gorge I cycled in. I needed to carry my bike across unfinished bridges and push through ice/water/mud, but made it to the border just when it closed for lunch… again. But the landscape changed dramatically, and it was warm! I took of my down jacket, then my other jacket, then my windstopper, hat, gloves, I was cycling in my t-shirt! And everywhere green, waterfalls, noises, people. Birds I don’t know with long tails and strange sounds… I was so busy looking around trying to take it all in that I completely missed the Nepalese border. Only about 15km later I thought; ‘hey… shouldn’t anybody look at my passport?… shouldn’t I get a visa or something…?” But I really didn’t feel like cycling back up (I’ve been going down all day) So I left my bike with some friendly Nepali and took a bus back up. At the border I got what i came for and now I’m legally allowed to stay here for 60days, which I most definitely will do… at least. Getting back to my bike was a rather thrilling experience. I saw a bus so got in. It was pretty full so I sat myself on a couple of boxes with electronic rice-cookers and my upper body stuck out of the window. Then, with about 30people on the roof and the bus completely stuffed full with women, men, children, animals and A LOT of luggage, 15 more showed up and stuffed themself in as well. In Nepal they drive on the left side of the road, and this road was small… and right next to it an about 80meter drop straight down in the gorge where the river was flowing… Unlucky I’ve chosen this side of the bus to hang out of, a few times I thought we were going straight down and all die when I couldn’t see the road underneath me. Just that drop. But I survived, and after 15km I could get out and safely continue my way cycling. And one big difference with Tibet is that they all seem to be washing continuously, washing themselves. Washing their clothes. Washing the dishes. Men, woman and children… all clean. The end of the day I slept in a small village where I ran into my 6 friends from Nyalam who, by hitchhiking have gone at the same speed as me cycling. But they pushed on to Kathmandu the same day. In the morning the world was foggy and a little bit chilly which surprised me… maybe it shouldn’t in december in the Himalayas. I knew that it wasn’t gonna be all the way down to Kathmandu but I didn’t realise there were some serious hills to be climbed. It took me a good while but I kept amazing myself of the many things to see. I felt like I should be walking here ’cause cycling is too fast to take it all in. This is exactly what I’m gonna do in the next few weeks but this later. When the sun came through and the mist disappeared I was struck by the view! Cycling up I could see green forest hills for kilometers and kilometers where there are ‘platforms’ all the way up for farming, and houses. Even on top of the highest hills people still live, and behind it, far far away I could see the white snowy tops of the Himalayas coming out of the clouds. After the last pass going down I could suddenly feel something in my eye. Auch. I stopped to get it out but didn’t succeed. Then I took my small mirror and couldn’t see anything in my eye. So I continued cycling but it got a bit sore. I put my sunglasses on but the glass was really dirty. But when I took it off I still couldn’t see properly, my right eye had gone ‘cloudy’. It felt like there was a little piece of glass stuck behind my eyelid, very uncomfortable indeed. The only way it was kinda ok is when I kept my eye shut with my hand. So with one hand and one eye I cycled into Kathmandu. That, I can tell you, is not easy…. So lucky a friendly Nepalese guy on a bicycle asked me where I was going and cycled with me to the guesthouse where my 6 friends are staying. A shame the guesthouse was full. I wasn’t gonna leave ’cause at this stage I couldn’t open my eye at all. It made everything a little more difficult. I was already thinking the worse, “Ah! I’m going blind!” But after some help washing it out and a night sleep (on the balcony in my sleeping bag, nobody seemed to mind… I even ordered breakfast this morning and it got delivered to the balcony… breakfast in bed! 😀 ) it seems to be back to normal. So I’m in Kathmandu! Time to wash clothes, wash myself and have a party 😀 Because yes, tomorrow I will be 28. I already met many people so it promises to be good. And after I go for a walk. Together with Carla I’m gonna walk the Anapurna trek. So again, I’ll be gone for about 3 weeks and hope to be back in civilisation before new years. So I wish you all already a great x-mas! Nou mir, ik ben aan het werk, ik ga de tekst even uitprinten en later rustig lezen. Kus. Ik hoop dat het weer goed komt met je oog. Het is maar vanuit welke achtergrond je de wereld bekijkt. In mijn beleving was het stoffig en niet bepaald schoon in Kathmandu. Doe voorzichtig in het verkeer en geniet van de Anapurna. Een hele fijne verjaardag gewenst. Hey Mirjam! brekky in bed on the eve of your birthday – awesome! It’s a treat I’m sure 🙂 I hope your birthday is an even more spectacular day than what what you’ve become accustomed to….cycling through so many culturally rich regions in amazing environments…ahhh, that would do! schillende typen mensen je ontmoet en de situatie waaronder ze leven.En niet te vergeten hun gastvrijheid en vriendelijkheid. We wensen je nog al het goede voor de komenden tijd en blijven met belangstelling je belevenissen volgen. Nou, het is 9 december: gefeliciteerd! En straks maar even kijken of we kunnen msn-nen. gefeliciteerd! Wederom een verjaardag in het buitenland, maar nu wel heel erg ver weg. Ik heb net even voor je gezongen, dan weet je dat. Geniet ervan en een dikke knuffel van mij. Tsjah, ‘t is hier geweldig he?! Vanavond lekker feestje en dan…..lekker, lekker lopen! Gefeliciteerd met je 28ste verjaardag! Mijn broer (Martijn) zit op dit moment ook in/bij Kathmandu! (Zie ook ikbenstraksdaar.waarbenjij.nu) Wil je hem de groeten doen als je hem tegenkomt ;-)? Geniet de komende weken van je avontuur op het “dak van de wereld”. lieve mirjam van harte gefeliciteerd met je verjaardag.maak er maar een mooie dag van.we hebben net met je vader gebeld en gehoord dat je aan de voettocht ben begonnen van drie weken. He zus, namens mij, en iedereen die ik vandaag heb gesproken: VAN HARTE GEFELICITEERD!!! Very beautiful tour your doing. Stoer.. I’m planning cycling in Kyrgistan and Tadjikistan in june and july next year. So I looked for information, saw your link on Wereldfietser.nl, followed your story and now Im in Nepal already. Unfortunatly the Tadjik section was not so helpful info for me, but I did enjoy reading and bookmarked you. Good dairy, nice photo’s and videos. Keep on cycling! Wonderful to see you travelling! You cycled a wonderful route!! 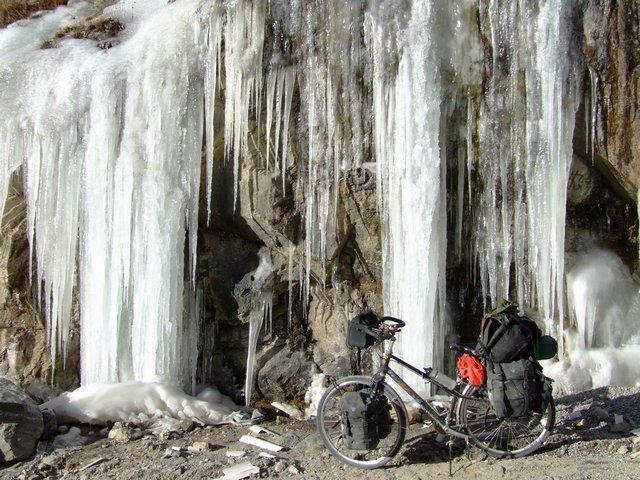 I’ve cycled through the same countries some years ago, also from Europe alone through Tajikistan and Western Tibet. Your journey brought me back all those memories. Now, I’m thinking that I should go travelling again… soon. Thank you for your inspiration!! And keep up the travelling & singing! Happy Birthday my crazy one-eyed-adventure-chick! Have a good one! Hartstikke leuk dat jouw reisverslag van je. Mijn reactie is een betje laat, maar ik hoop dat je een fijne verjaardag gehad hebt. Ik wens je een goede voortzetting van je reis en tot horens. Best wishes for x-mas and happy new year. A bit late, but I still wish you a happy birthday! I hope you’ve had lots of fun on the 9th! Already wish you a great and warm X-mas! We were happy celebrating your birthday in Kathmandu together. We wish you strong dutchgirl all the best for the annapurnatrek, what is not a piece of cake while it is getting colder and colder. It was refreshing, meeting the strongminded an reasoned girl that you are by all what you expearienced. It’s nice to read from you again as I was wondering if you maybe had become a fossil in the Himalayas. But then reading the stories and remembering ‘Long Way Round’ Charlie Boorman and Ewan McGregor driving from London through Asia to New York on a motorbike I realised.. well they didn’t have civilisation in days.. and they are on a motorbike.. hmm I think Mirjam is taking weeks to get to civilisation. Its too late but hey…better late than never…. MANNY MANNY HAPPY YEARS AND CYCLING FOR YOU! Wat een geweldige reis Mirjam. Ik kom regelmatig op je site om van de adembenemende foto’s te genieten. What a wonderful world…. What a courage to go on your alone! Congratulations! Must be expirience for life!Where ever your been wish you nice Xmas and prosperious New Year! Old the best with writings good stories. I enjoyed yours stories. Can’t wait to hear about the Annapurna circuit… it’s on my list of things to do while I’m young and hale and healthy. Have a great adventure in nepal, and happy new year! Congratulations from Sweden (a little late, but…)!! And I wish you a great x-mas and a happy new year!! Wishing you merry xmas and a happy new year wherever you may be! GEWELDIG DAT JE ALWEER ZO VER BENT GEKOMEN, EN DE REACTIES GELEZEN VOOR JE VERJAARDAG, HEEL VEEL MENSEN DENKEN TOCH WEL AAN JE EN BELEVEN ALLER JE AVONTUREN MEE. IK WENS JE FIJNE KERSTDAGEN NEEM EEN SLOKJE OP HET NIEUWE JAAR 2008 EN IK KIJK WEER UIT NAAR JE BELEVENISSEN. ook ik volg jou reisverslag en wil je alsnog feliciteren met jou verjaardag. tevens wens ik jou heel veel geluk en gezondheid voor 2008. 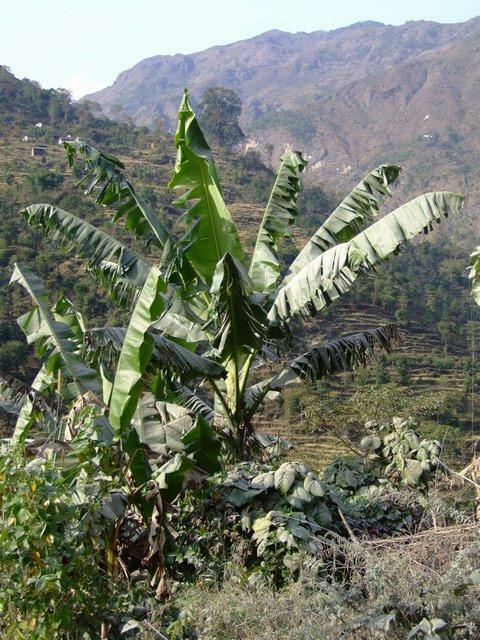 Een goede wandeling toegewenst in het mooiste land van de wereld: Nepal! I am sad not to be there with you as we talked. But happy that at least one of us is still out there…Living and pushing hard to enjoy the life on a bit different scale. You made it down from Tibet. Hura. Now I guess time for another rock & roll in India. You are great. Happy holidays and all the best in next paths through your ride of life. Ik ga het in maart proberen! Merry Christmas from Bonnie Scotland! Before I’m too late, I already want to send you the best wishes for 2008!! I hope that the best moments you’ve had in 2007, will be your baddest moments in 2008 in other words: wishing that your 2008 is getting better then 2007 was for you!! I also plan to go to Tibet alone in June 2008. Have you encountered any problems traveling alone?